GBPUSD had a sudden growth due to the US election but soon fell back. 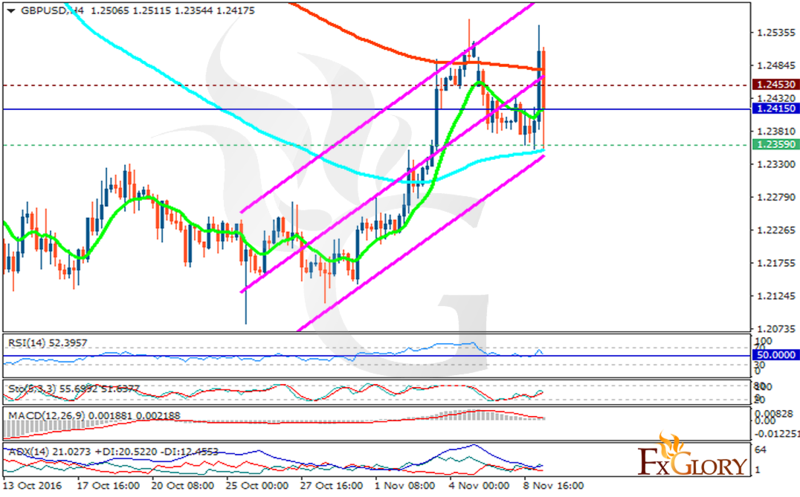 The support rests at 1.23590 with resistance at 1.24530 which the weekly pivot point at 1.24150 is located in between the lines. The EMA of 10 is moving with bullish bias and it is located below the EMA of 200 and above the EMA of 100. The RSI is falling towards the 50 level, the Stochastic is showing downward momentum and the MACD indicator is in neutral territory. The ADX is showing a better buy opportunity. Short positions are recommended targeting 1.23 area.